As the Cafe Coordinator for Teen Science Cafe Whiteville, I face some unique obstacles when it comes to marketing and attendance. Whiteville is situated between Wilmington and Fayetteville, and the teen attendee base spans multiple rural counties across southeastern NC: Columbus, Robeson, Scotland, Bladen, and Brunswick counties, to name a few. Marketing for our Teen Science Cafes can be problematic, since there is such a broad distance to cover. It is difficult to post flyers in such a rural area, because the teen hangout spots are few and far between. I always publicize Cafes through listserv emails and press releases to local news outlets, although the most successful methods seem to be social media and word-of-mouth. Unlike newspaper write ups, social media posts are not limited by location. Facebook is our platform to reach parents, and our Instagram account is geared more towards teens. So far, Facebook has been the best marketing tool for Teen Science Cafe Whiteville. Parents are a powerful ally! Teen Science Cafe in Whiteville, NC is thriving, though there are challenges. A marketing difficulty is a contributing factor in another obstacle of rural TSC programs: inconsistent attendance. Attendance is widely variable each month at Teen Science Cafe Whiteville, ranging from as few as five to as many as 30. Many teens are reliant on their parents for a ride, and when someone lives 30 to 45 minutes away, it can become quite a large deterrent. Not to mention the competition with Friday night football, which is a big deal to high schoolers in this region. We tend to see a spike in attendance at the end of football season. Overall, in a rural area it is considerably harder to get teens through the door, for a variety of reasons. I am working hard to maintain a strong social media presence, and I am also encouraging local educators to promote Teen Science Cafe in their classrooms. The teens who do take advantage of this fantastic (and free!) 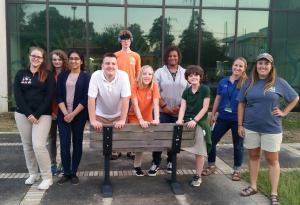 science program are very vocal in their appreciation, and the members of the TSC Teen Leadership Team tell me it has been a life-changing experience. Managing a Teen Science Cafe program in rural southeastern NC certainly has its challenges, but it is well worth the effort.